The most important thing for buying a property in Spain or in another country, is to choose the perfect place to make that investment and, if there is a construction already built, that the same complies with the requirements to live or develop the commercial activity for which it was purchased, without leaving aside the different local procedures that must be known and complied with to achieve a successful management thereof. It is important to know the opportunities available for purchasing a house in the market and if the construction meets the requirements, considering the physical characteristics of the same. This search can be done personally or hiring the services of a real estate agency. Then, the real estate agency works only as an intermediary between the buyer and the seller who connects them and, if they reach an agreement, sign a sales contract. This agency is hired by the seller and will handle the corresponding procedures, for which the latter must pay a fee. These procedures may include (they are not mandatory for the buyer): signature of the deed before a notary public, presentation of the deed before the Land Registry, payment of taxes and even mortgage financing. In case you are purchasing a house, the buyer must visit the place where it is located. Also, the buyer should verify that everything the property offers is in order, from the materials to the facilities and the distribution of the space. It is important to verify its luminosity, environment, view, access to transportation, nearby services, etc. The seller must know the opinion of the buyers (about any damage inside or outside the home). Additionally, the buyer must make sure to gather several options to choose from when he/she inquires a little more about the house. This additional information about the home may include its legal situation (pending charges to be paid, who is the owner and other details that are in the Property Registry), so the buyer may still have options to choose from. When it comes to buying off plans (the home has not been built yet), the buyer will only have access to the information displayed on the developer plan, which the developer must be committed to executing according to the contract signed between both parties. For this reason, it is necessary to know the legal situation, in this case, of the construction company. In Spain, many people choose to buy a land and then build a house that suits their needs and tastes, in a rustic location or within the city. The location of the land in which the property is located has a great impact on its economic value. In case of a rural Spanish property, it is recommended, in addition to acquiring a good view in a natural environment, to consider the real possibility of building on the site as well as the surface of the land. As in other types of purchases, it is important to find out if there is no embargo or mortgage guarantee on a plot of land for sale in Spain. It is essential to go to the Land Registry to verify the land registration situation and go to entities such as the Town Planning Department of the municipality, where the potential buyer can also verify the urban situation of the land, making sure that the construction on this land is feasible. It is important to be clear about the total expenditure of the investment, especially in the case of building on a Spanish rural property, to avoid spending all the money in the acquired plot and then building a low-quality house. In addition to the costs for the purchase of the land and the construction of the house, it is necessary to add some administrative expenses, among which are the property transfer tax (between 6% and 11%), the document duties and registration fees (between 0.5 % and 2%) and the notarial expenses. Plus, the payment of registration fees before the Land Registry and the corresponding administrative expenses. At the time of acquiring a plot of land or buying a property in Spain (a house already built), you can resort to a mortgage loan, a tool that is requested to financial institutions that pay up to 70% of the appraised value of the land. The value of the property (even if you have paid a deposit this will only be deducted from the total amount). Buyer: Issuance of copies of the deed. Upon agreement with the seller, the buyer can take on the total cost of the payment to the notary. Document managers: Hired services will be paid by the buyer. To the real estate agency: The cost usually corresponds to the seller, who must be responsible for paying the services received. The buyer could receive a fee if his/her services were needed to find the property; that additional amount he/she will receive will be paid if he/she manages the procedure with efficiency and is able to settle the operation. You must apply for the NIE, it is recommended to have a Spanish bank account or in a bank in your country with presence in Spain (to speed up tax payments, etc.) and specially to know the steps that must be completed to successfully achieve a purchase-sale contract and financing in the country. 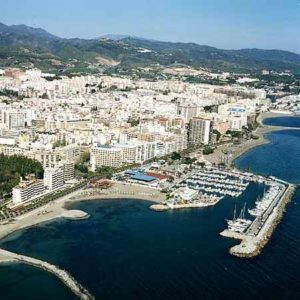 If you wish to acquire your dream home in a coastal area, you can find out details of the properties for sale in Costa del Sol on the website Right Move.